Amy Stewart Kaplan, President/Founder of West Coast Surrogacy, began her career in reproductive medicine in 1990, and has since devoted her life to the field. Amy got her start at a Southern California IVF center. It was there she began to realize her passion for reproductive technology as well as a desire to assist others in this worthy pursuit. 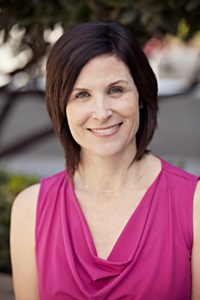 Amy has worked in various roles in the field throughout her career, including Practice Manager for the Southern California Center for Reproductive Medicine under the direction of Robert E. Anderson, M.D. Amy was also greatly involved in the development and management of the Southern California Institute for Reproductive Sciences, an IVF embryology laboratory that is currently utilized by four IVF centers in Southern California. She also was instrumental in the development of a donor embryo program. Reproductive medicine has played a significant role in Amy’s personal life as well. After having her son Tyler, she required the assistance of a reproductive endocrinologist to become pregnant again with her daughter Mia. At this time, Amy chose to leave her management position to be a stay-at-home mom. She didn’t stay away from the field for long, however, and she soon resumed her career as a consultant for a surrogate/egg donor agency, working closely with intended parents, surrogates, attorneys and psychologists. In 1990, Amy donated her eggs for two couples, resulting in the births of three children. While one of the donations remains private, the other family has welcomed Amy and her family into their lives, resulting in a special relationship that continues today. It would be 15 years later that Amy would realize a longtime desire to become a surrogate mother. Amy calls the experience of carrying twins as a surrogate “life altering” and an event that “had a profound impact on who (she is) today.” Her participation as a gestational surrogate gives her a unique insight into the surrogate mother process that is appreciated by carriers and intended parents alike. Amy is a member of the American Society for Reproductive Medicine (ASRM), Resolve, and LiveStrong (formerly Fertile Hope). She is also a former instructor for the NARHA (North American Riding for the Handicapped Association), which uses therapeutic horseback riding for the benefit of individuals with physical, emotional or learning disabilities. In addition, she is also a trained birth doula.